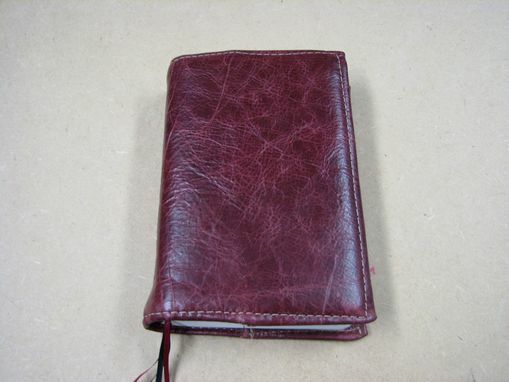 Red leather slip on book cover. Protects your book. ribbon markers. Dimensions: Fits book measuring4 3/4" x 6 3/4" x 1 1/2". Other sizes available upon request.